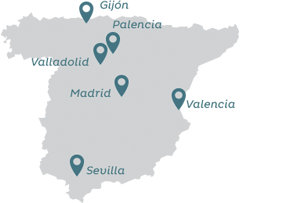 FITOTRANS Madrid is located in the Los Pontones Industrial Estate in Seseña, close to the A-4 motorway, km 32 and the R-4 toll road (RIMP hazardous goods route). It consists of two modules totalling 3,500 m2. This site is used as a cross-docking and storage point for products requiring immediate delivery in the area. It is currently used as a single-client storage facility.